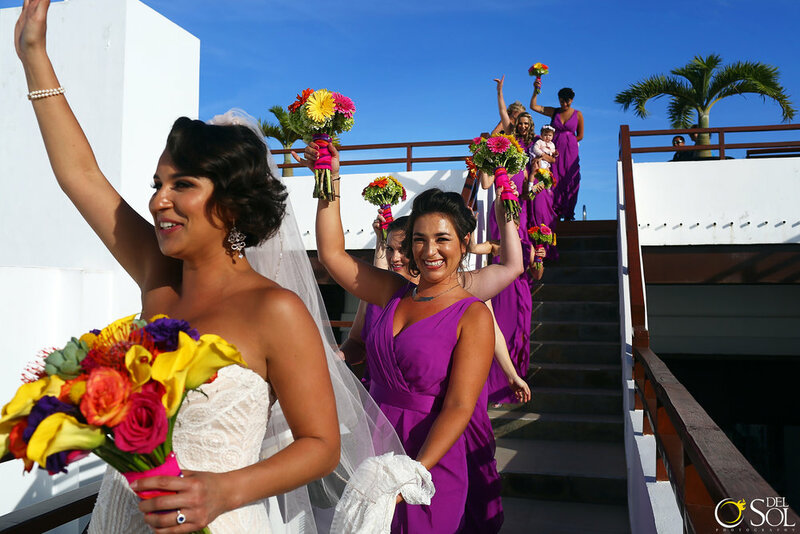 After the ceremony of this wedding in the Capilla de Nuestra Señora del Carmen, Playa del Carmen, the bridal party and their guests participated in a callejoneada – a walking serenade led by mariachis. 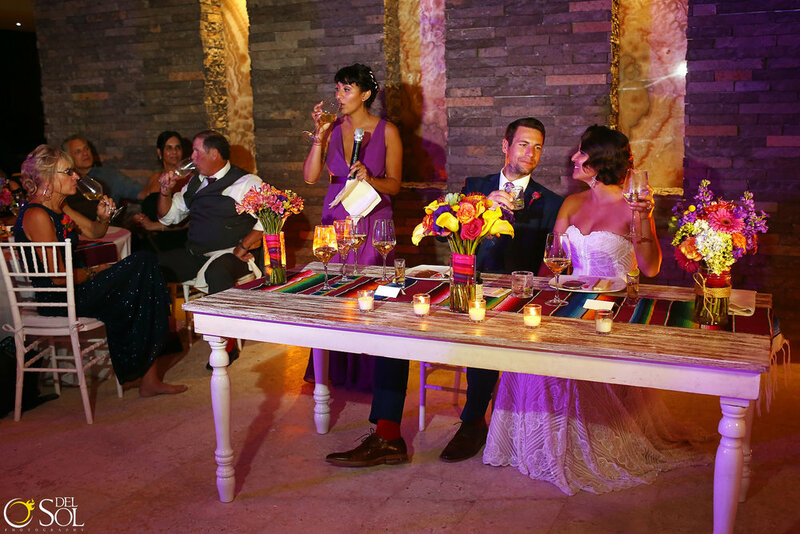 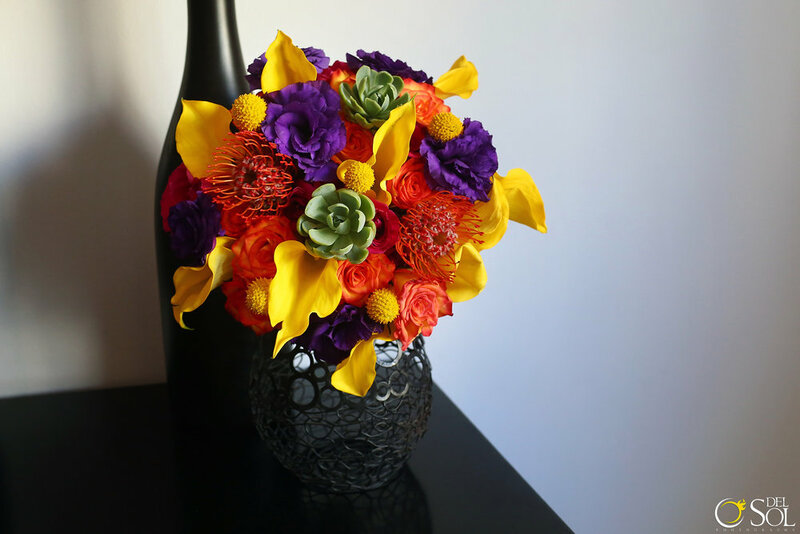 The event was filled with joyful dancing and tequila, setting the tone for the festive wedding day itself. 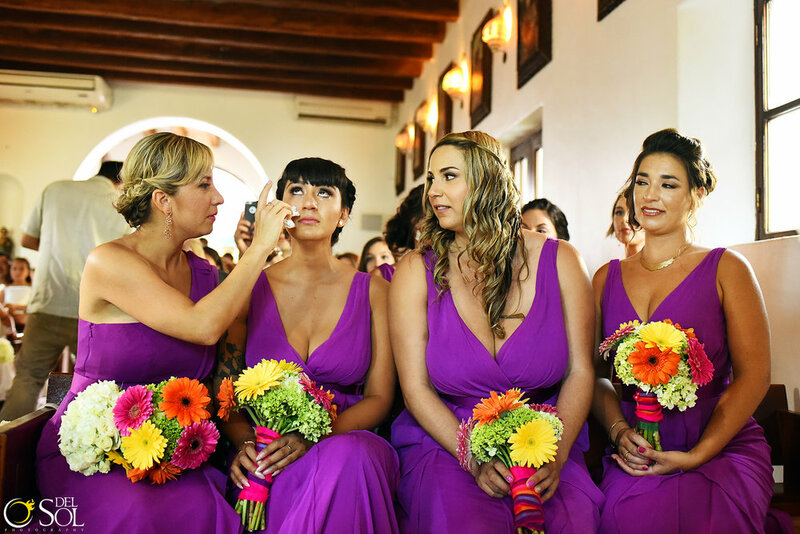 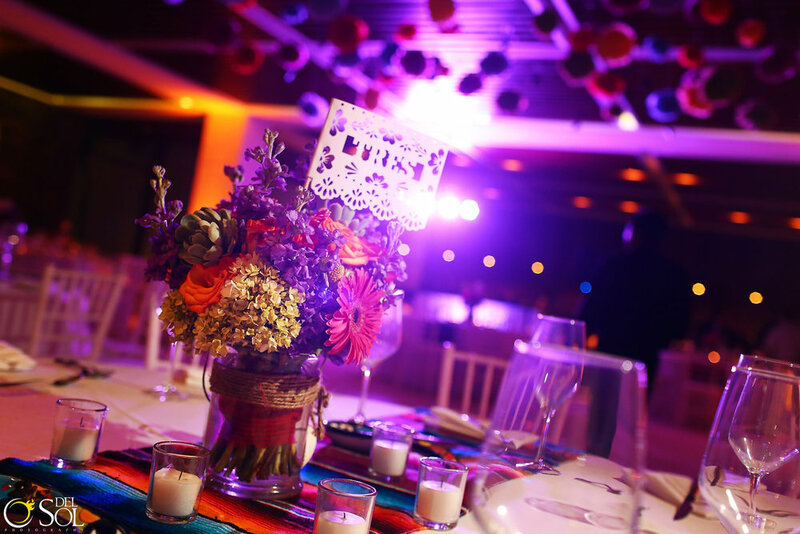 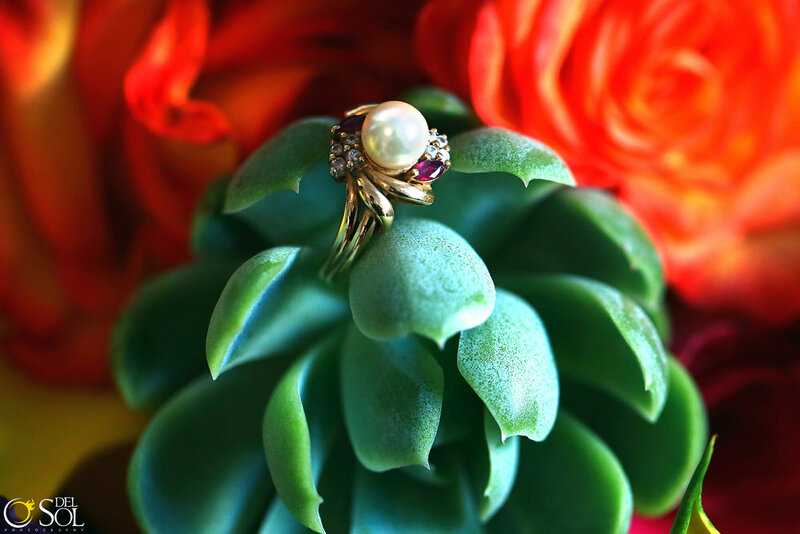 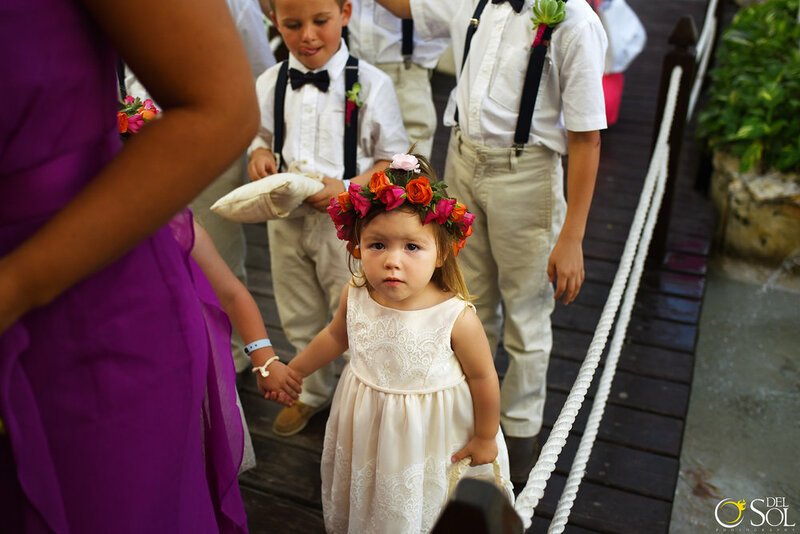 With brilliant flowers, traditions and local culture infused throughout, this Playa del Carmen wedding captured by @DelSolPhotography is a can't miss!